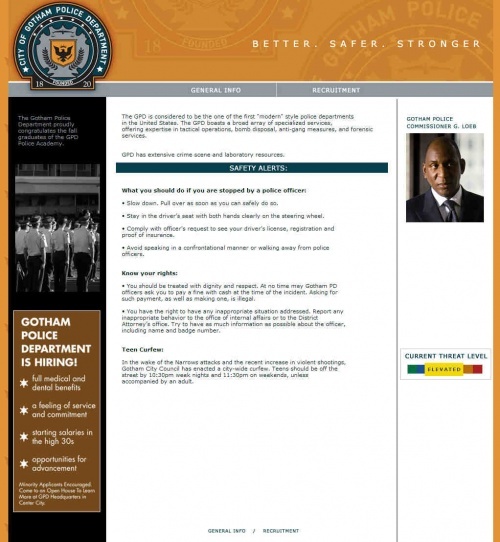 Gothampolice.com is the official website of the Gotham Police Department. The GPD is considered to be the one of the first "modern" style police departments in the United States. The GPD boasts a broad array of specialized services, offering expertise in tactical operations, bomb disposal, anti-gang measures, and forensic services. GPD has extensive crime scene and laboratory resources. • Slow down. Pull over as soon as you can safely do so. • Stay in the driver’s seat with both hands clearly on the steering wheel. • Comply with officer’s request to see your driver’s license, registration and proof of insurance. • Avoid speaking in a confrontational manner or walking away from police officers. • You should be treated with dignity and respect. At no time may Gotham PD officers ask you to pay a fine with cash at the time of the incident. Asking for such payment, as well as making one, is illegal. • You have the right to have any inappropriate situation addressed. Report any inappropriate behavior to the office of internal affairs or to the District Attorney’s office. Try to have as much information as possible about the officer, including name and badge number. In the wake of the Narrows attacks and the recent increase in violent shootings, Gotham City Council has enacted a city-wide curfew. Teens should be off the street by 10:30pm week nights and 11:30pm on weekends, unless accompanied by an adult. How do I apply for police work? First you must take the Police Civil Service exam. Applications for the exam are available at City Hall. You must bring two forms of ID, one of which must be a government issued ID with photo. When will the next class be hired? There is a class enrolled currently in the Police Academy. There are no further hirings scheduled at this time. There will be notices in the newspaper, at City Hall, and on this website when the next exam is scheduled. I was recently discharged from the military, how do I get back on the list? If your exam is still valid, report to the Retention Unit with your LL332 and proof of age and residency. How long is this exam good for? All exams can be terminated one (1) year from the date the list was established, unless extended by the City Personnel Director for a maximum of four (4) years. I am overage for appointment as a police officer. Are there any public safety positions that I may apply for? School Safety Agent and Traffic Enforcement Agent have no maximum age requirement. How can I prepare to successfully complete the Job Standard Test? 1. Avoid junk food and concentrate on a well balanced diet for several days before the test. 2. Avoid tranquilizers and stimulants such as caffeinated beverages especially on the day of the test. a. To have carbohydrates available for energy production, candidates should consume a moderate to high carbohydrate diet (60-75% of the total kcal consumed per day) for 2-3 days prior to testing. We suggest carbohydrates from whole grains (breads, cereal, rice, pasta), vegetables (carrots, corn, potato, squash), fruits (dried, juice, or solid such as orange, apple, etc. ), and dairy (fat-free yogurt, skim milk, low-fat ice cream) food groups. Foods such as baked beans, pretzels, baked chips and low-fat cookies are other sources of carbohydrate. b. To recover from a day of intense activity and to restore muscle carbohydrate, candidates should eat 50 to 100 grams of carbohydrate immediately after the activity and another 50-100 grams every 2-3 hours after the activity for 12 hours. It is recommended that a total of 400-800 grams of carbohydrate be ingested depending upon the amount and intensity of the testing and your body size (bigger people need more carbohydrate). In addition to the carbohydrate, candidates should consume 15-25 grams of protein with each carbohydrate feeding (20 grams of protein is found in one 3-oz. serving of meat). c. To prevent dehydration during testing, candidates should drink water throughout the testing day. Sports drinks are not necessary, but candidates may drink them to help replenish carbohydrate and maintain electrolyte balance. These fluids are convenient, effective and good tasting. d. To maximize performance during testing, we recommend rest for the two days prior to testing. If a candidate must exercise, only very light training should be undertaken over approximately two days leading up to testing. Muscle fatigue, muscle soreness and muscle depletion of energy stores will lead to poor performance on this test. 4. Get a good night’s sleep before the test. 5. Be non-smokers if at all possible (or have refrained from smoking for at least 90 minutes prior to testing). 6. Refrain from any exercise training for at least 24 hours before testing. 7. Refrain from eating for at least 1.5 hours before testing. 8. For both comfort and safety, wear a T-shirt (long sleeve T-shirts or sweatshirts are permissible), sweat pants and court shoes/sneakers (running shoes are discouraged). A pair of snug, batting-style gloves are recommended for testing, but not required. 9. Avoid alcohol several days prior to testing. Simple activities such as a regular stretching and running routine can greatly enhance your chances of doing well on a physical ability exam. Please remember to keep safety in mind when training, and always consult a physician before beginning any physical fitness program. On the day of testing you will be required to wear long pants. Please Note: You will not be allowed to participate in the examination if you are not wearing long pants. Shorts are not allowed for safety reasons. At a ceremony in City Hall’s Banquet Room yesterday, Gotham Police Department Sgt. Francis X. Notaro received the Gotham Medal of Commendation. It is the highest medal one can receive from the Mayor of Gotham, and requires "an extraordinary act of courage in the face of real danger to one’s self." Mayor Garcia as well as numerous other dignitaries were there to honor Sgt. Notaro, who was accompanied to the event by his wife Hannah and his two children, Samuel, 7, and Rachel, 4. The commendation emerged from Sgt. Notaro’s actions of August 13 of last year. A crazed gunman began shooting up passers-by in an alley downtown off of Jackson and Columbus at around 2 AM. Notaro, who was not on duty at that hour but happened to be close by, heard the shots, went straight to the scene of the incident, and shot and killed the perpetrator. Notaro’s actions put himself at grave risk of death, while saving the lives of innocent bystanders. "Sgt. Notaro reflects the very best of Gotham," said Mayor Garcia. "He represents the spirit of dedication, duty, and commitment to the rule of law that we all can admire." At the time, police officers called the fact that no passers-by were killed "an absolute miracle." But Commissioner Loeb, in his remarks, said that the absence of deaths was "no miracle." "There was no miracle that night," said Commissioner Loeb. "Instead, there was something perhaps as rare: true bravery. Sgt. Notaro is a hero, and I am proud to serve with him on the best police force in the nation, the Gotham City Police Department." A dinner honoring Sgt. Notaro for the honor - and his birthday, which happened to also fall on the auspicious day - was held by a group of his friends later that night, at Rossi’s Deli & Grill. Note: Francis Notaro is one of the cops accusing ADA Harvey Dent of bribing him to falsify his testimony. Information from secure documents in GPD's database refutes many "facts" in this account of the incident - namely, the date, the evidence, and the ages of his children as shown in the photos found below. 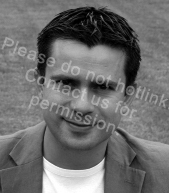 It was noted that the photo of Francis Notaro on the news section had a watermark denoting, "Please do not hotlink. Contact us for permission." 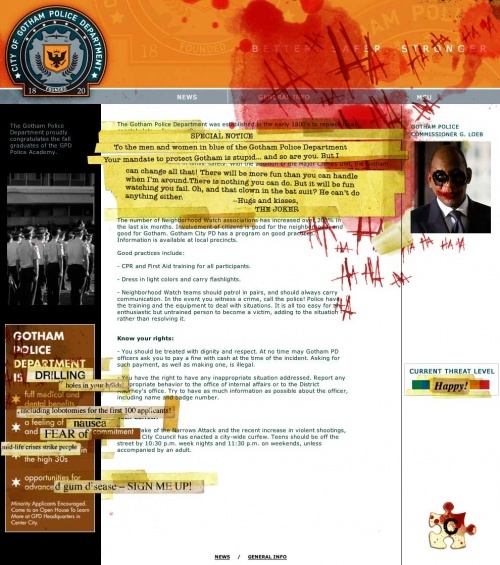 When investigating the URL that the photo was stored in, more photos of Notaro were discovered by varying the file numbers after Thegothamtimes.com/media/jlevine/public. Note: In the news section of Gothampolice.com, he is said to have a 7-year-old son Samuel and a 4-year-old daughter Rachel. If the children in the photos are his, their ages do not match up. Friends of Gotham Police present the annual Policemen's Ball on June 15 at Sunland Ballroom. A tradition since 1915, the ball raises money to help the GPD fight crime, fund outreach programs, and to support the spouses of officers who have been wounded or killed in the line of duty. The ball also seeks to foster a sense of community involvement and to recognize the work of outstanding men and women in blue. This year's ball was made possible through the volunteer efforts of Friends who sold over $375,000 worth of tickets. "This was the best staff I ever had," said Ball coordinator Franklin Slattery-Winchell. "They went way above and beyond. The department really needs the support of the community more than ever and this was just a tremendous show of faith in the GPD by regular Gotham citizens everywhere." Not all monies raised came from ticket sales. The charitable arm of several corporations helped sponsor portions of the event. The Wayne Foundation funded a new program to train and hire unemployed men and women to work at the event with continuing education that will help them find full-time work. Gotham National Bank generously paid the rental fee of the hall and Rossi's Deli is catering the event with traditional Northern Italian fare. For the second year in a row, comedian Sid Stickler will emcee the event. "If you loved last year's show, you're sure to love this one. It's the same thing!" Also back by popular demand is Shawman's Society Swingers to provide the evening's musical entertainment. Guests will dance the night away in style to the classic sounds of yesterday complete with vocal quartet. Friends of Gotham Police is a non-profit organization with the aim of promoting quality policing and community services in the city of Gotham. Kerry Brauerhaupt has stepped down as Chief Counsel for the Gotham PD. Kerry, who became Chief Legal Counsel when Roger Garcetti was appointed District Attorney, tendered his resignation on Friday, June 6th, citing "personal reasons" and a "desire to explore new opportunities in the private sector." "We are sorry to see this dedicated servant leave the GPD," Commissioner Loeb said at yesterday's press conference where the announcement was made. "He has served the department through some tough times and I would like to thank him on behalf of the entire department." Brauerhaupt began his career as a public defender in the 18th Circuit. After three years, he joined the firm of Tarpacci and Saks, long-time outside legal counsel for the GPD. It didn't take long for him to make a name for himself as a staunch defender of the force. Brauerhaupt turned down a partnership when he was recruited by his predecessor Jeremiah Turlington into the General Counsel's office. Brauerhaupt became a welcome addition to the office and helped build it into one of the city's most able legal teams. Several years into the job, Brauerhaupt discovered Turlington misappropriating department funds. "It was a shocking thing," Brauerhaupt said. "A terrible time." Upon Jeremiah Turlington's termination, Bruaerhaupt was promoted. At the press conference, Bruaerhaupt thanked the Commissioner "for your support all these years, but most importantly, for the pleasure of working with such a great group of attorneys." With characteristic wit, Brauerhaupt concluded, "I'm sure we'll work together again soon, but hopefully not from the other side of the bench." A "general info" page is added, the "safety alert" section is updated and the "recruitment" page is removed from the site. The Gotham Police Department was established in the early 1800's to replace local constabulatory forces - often private organizations that local business owners paid to patrol the streets. With the establishment of a local police department, Gotham City became one of the first cities in the U.S. to address the needs of citizens for safety and protection. Today, Gotham Police Department is on the forefront of forensic technology and the most cutting-edge concepts in public safety. With the addition of the Major Crimes Unit, the Gotham Police Department is prepared to face the challenges of law enforcement in the 21st Century. The number of Neighborhood Watch associations has increased over 200% in the last six months. Involvement of citizens is good for the neighborhood, and good for Gotham. Gotham City PD has a program on good practices. Information is available at local precincts. • CPR and First Aid training for all participants. • Dress in light colors and carry flashlights. • Neighborhood Watch teams should patrol in pairs, and should always carry communication. In the event you witness a crime, call the police! Police have the training and the equipment to deal with situations. It is all too easy for an enthusiastic but untrained person to become a victim, adding to the situation rather than resolving it. After the countdown ended on Whysoserious.com/Overture, Gothampolice.com was "Jokerized" along with nearly every other site in the game. From an update on GVAFoundation.org, Gothampolice.com/secureinternaldocuments was found. The GPD also has websites for their Internal Affairs and Major Crimes Units at Gpdiad.com and Gpdmcu.com, respectively. This page was last modified 07:17, 16 November 2010. This page has been accessed 77,103 times.